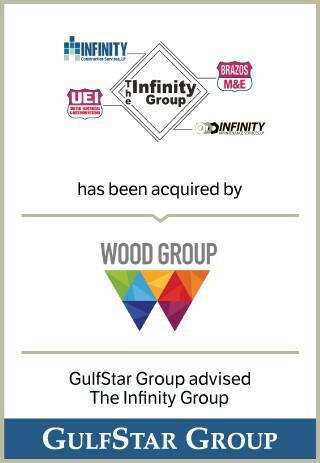 Infinity is a leading U.S. industrial construction and maintenance contractor with in-house fabrication facilities providing services to the refining, petrochemical and gas processing industries. A family-owned business established in 1952, Infinity is headquartered in Clute, Texas, with six additional locations along the Texas Gulf Coast. The existing management team will continue to lead the business, which has approximately 2,500 personnel. Infinity currently has gross assets of around $92 million and is forecast to generate EBITA of $26 million in 2015.